We are delighted to announce the appointment of our new chef at Itambira Island. 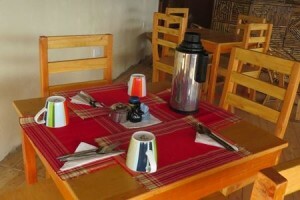 Having tasted the food, we are confident that our guests will be very pleased too! We are now putting the finishing touches to the menu and will shortly be putting it online. In addition to our choice of breakfast, lunch, snacks and dinner; we will be offering daily specials to make the most of locally available ingredients so that your meal will be fresh, tasty and memorable.